Three days of fun for the mechanically inclined. Itinerary highlights: glamping, fabulous food, a Cold War submarine, a ride on a historic train, one of Canada’s best classic car collections and cruise on the Detroit River. Arrive in Dunnville for a night of luxury glamping at Oakwood Escape. Time your visit to coincide with one of the great events at Toronto Motorsports Park in Cayuga, like the Exotic Dream Car Experience and experience the thrill of taking a Lamborghini Gallardo, Ferrari F430 F1 or Porsche 977 Turbo around one of North America’s premiere racing facilities. Enjoy a surf and turf dinner at Johnny Famous. 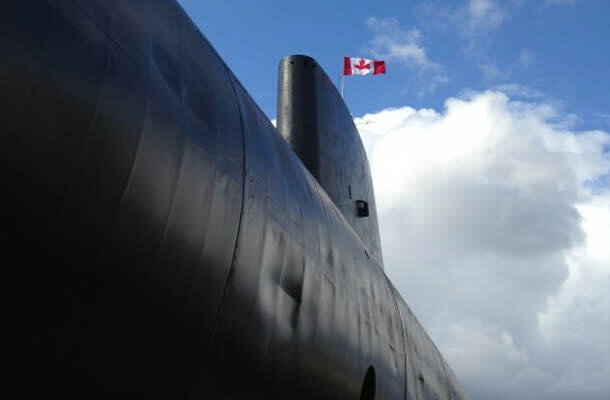 The next morning, follow the Lake Erie shoreline for a scenic drive to Port Burwell, and take a tour of the HMCS Ojibwa a Cold War era Oberon-class submarine that served in the Royal Canadian Navy and later the Canadian Forces Maritime Command Ojibwa. Continue on to Port Stanley for a ride on the Port Stanley Terminal Rail. Experience the fun of a train ride through the scenic Kettle Creek Valley. Diesel powered trains travel over a 7 km portion of the former London & Port Stanley Railway. Spend the night in Chatham at the Retro Suites, a century-old building with 34 individually designed suites that range from chic Urban Studio to lavish Victorian Style King William. The building flaunts exposed brick walls, loft-style ceilings original tin ceilings, terrazzo floors and contemporary artwork. Enjoy dinner at the Chilled Cork. Wrap up your trip with a cruise on the Detroit River with Windsor River Cruises.